If money has ever been tight, or if you’ve felt buried under debt, you’ll know how hard it can be to save under those circumstances. Flourish Savings helps you save better, save more and have fun doing it; using both prize linked savings and gamification techniques to encourage users to develop better saving habits. 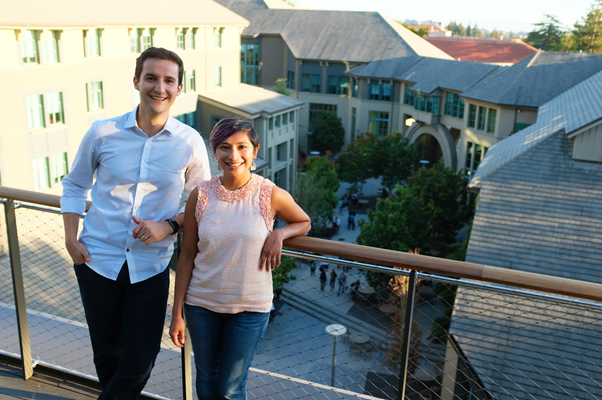 I sat down with one of the company’s founders and Haas EWMBA ’18, Pedro Moura, to understand the story behind Flourish. Flourish officially began life as a personal finance company in November 2017, but its story begins long before that. Pedro Moura was 15 when he and his family left Brazil for California. As new immigrants, money was tight – his mother worked double shifts at various odd jobs to help make ends meet and, while they knew that saving for the future was crucial, putting money aside was often more an aspirational goal than an achievable one. As Pedro came to call the San Francisco Bay Area home, he observed not only worsening income inequality, but also a tendency for it to affect minority and immigrant communities disproportionately. His observations led him to pursue a degree in Economics and International Trade and, later, to spend more than six years with Oportun, offering underserved communities better credit options. Still, something was missing; affordable credit was critical to lifting communities out of poverty but it was neither enough nor the best starting point. Pedro realized that saving, rather than better credit rates, was the real driver of an individual’s financial health. And so, with his Haas MBA classmate Jessica Eting as co-founder, Pedro launched Flourish Savings. The premise is simple enough: each time a user saves money, they are rewarded in the form of in-app tokens that they can then use to play games on the app or participate in lucky draws. The real question, however, is how much of an impact do all those dollars and cents tucked away really have on the user’s financial health? The bright and colorfully designed app connects to its users’ bank accounts and sets them on a saving journey. Each time the user successfully hits a saving milestone (e.g. saving their first $100), they are rewarded with in-app tokens that they can use to play a variety of in-app games and participate in lucky draws and raffles. The app even offers users the ability to open a new bank account with Flourish’s network of partnerships with banks. This network of partnerships is the key to Flourish’s future. Pedro knows as well as anyone else that for all the good that Flourish aims to do for the underserved community, it is a business first and as for any other business, the numbers matter. For now, the numbers are modest. 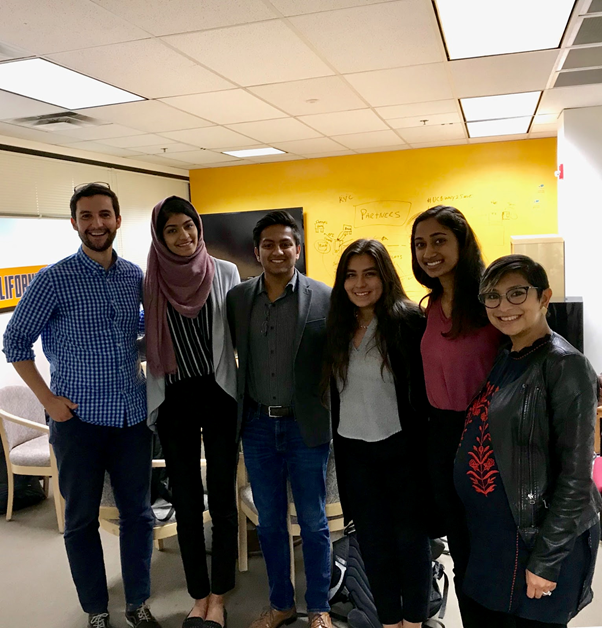 Flourish is very much in its infancy and the company’s scale demonstrates this – Pedro and Jessica lead a lean team of 5 full-time staff and some part-time collaborators and recently launched a closed-beta version of the app for a small cohort of users from their key demographics. Pedro also notes that it’s only logical for a company aiming to address income inequality to operate in the Bay Area – a region that some estimate to have the worst income inequality in the country. As it stands, only 40% of Americans can comfortably endure a financial incident (defined here as an unexpected, unavoidable expenditure) of $1,000 or more. Worse, 25% of Americans don’t have any form of rainy-day funds saved up at all. Growing income inequality in America has made it all too easy for families barely making ends meet to experience a financial catastrophe; a situation that leaves them with the equally unalluring prospects of going to payday loan companies, who have predatory interest rates, or facing personal bankruptcy. For these communities, the cycle of debt and the specter of poverty are always looming large on the horizon. Fortunately, in such situations, a little goes a long way. At Flourish, Pedro and his team are working to serve their target customers – people Pedro describes as ‘first generation financial citizens’. This includes not only members of the underserved communities mentioned previously but also young adults, especially students drowning in debt and participants in the gig economy. What do they all have in common? This is the customer that Pedro and his team had in mind as they set about designing Flourish. While the savings aspect of Flourish is the beating heart of its value proposition, the Flourish team have painstakingly designed the user experience to feel as rewarding as possible. Pedro is not the first to notice opportunity in this space, however. Right across the Bay, companies like Chime, Digit, Qapital and Intuit (who owns Mint) have products operating in similar spaces. Of these, Intuit is technically the biggest, having bought Mint for $170 million in 2009, but even the more modest companies on that list like Digit (valued at $88m after raising $22.5m in 2016) and Qapital (valued at $80m after $30m injection earlier this year) have battle chests far larger than anything Flourish will be looking at in the near-term. All this is just in the savings space; if Flourish has ambitions beyond that, the other closest markets – the small loans and personal investing markets specifically – they will be facing off against giants like Robinhood and their millions upon millions of users. Still as big a head start as some of these companies have over Flourish now, this is low margin, high volume business; Mint’s one-time rival, Level Play, was acquired and then shut down by Capital One last year. The Flourish advantage, however, lies in their intimate knowledge of their audience – leveraging resources from the Haas School of Business’ Center for Social Sector Leadership (CSSL), the Flourish team has worked closely with faculty to understand their target demographic’s needs. Pedro is also confident in securing further funding once the product launches and the business model proves itself. “We are helping banks reach and engage demographics that they have traditionally struggled to connect with in a cost effective manner. It is a win-win all around, users are getting a free and exciting way to save money while our banking partner is generating additional deposits. Additionally, we are also creating new activity and transactions in existing dormant accounts for our partners”, Pedro elaborates. Flourish takes a small fee from banks for each account opened and courts sponsorships for their regular lucky draws and raffles. However, the future here, as with so much else, lies in data – as users come to the system, Flourish gains access to their spending patterns and can refer users to better priced alternatives, while also collecting a referral fee from the companies selling those alternatives. His vision for the future is even more ambitious; from his experiences in Brazil and subsequent travel around the world, Pedro knows that this is not a uniquely American problem. “It is a global problem”, he told us, “and a global problem can only be properly addressed by a global company”. It’s not just a geographic expansion that Pedro has in mind – he also wants to partner with his users throughout their financial lifetimes. Short-term lending and low-cost investing are very much in his sights, but he acknowledges that that future is still some ways away. One Sentence Pitch: Personal finance engagement platform that empowers individuals to establish savings habits using games and rewards.